I didn’t get to take the two Asian cuisine classes at my school because my husband was being transferred off the island we were living on. I could have stayed behind an extra six months to get in the three classes I needed to graduate, but the fact that I had our first son nine months after he left the island always makes me grateful for the decision I made at the time. As it was, my husband only made it home from a long deployment with a few weeks to spare before I had our baby, I can’t imagine if I’d been in the middle of the Pacific alone when he was due or trying to move before the end of a pregnancy. The only time I regret my decision is when I want to make my favorite Chinese or Japanese food. I feel like I’m lost and even the 4″ thick, 8″X12″ massive Chinese cookbook I have leaves me bewildered. I had a few local, Japanese/Hawaiian friends from school who told me how to make egg rolls, fried rice, and such but I wish I could make a dinner with all of my favorites. 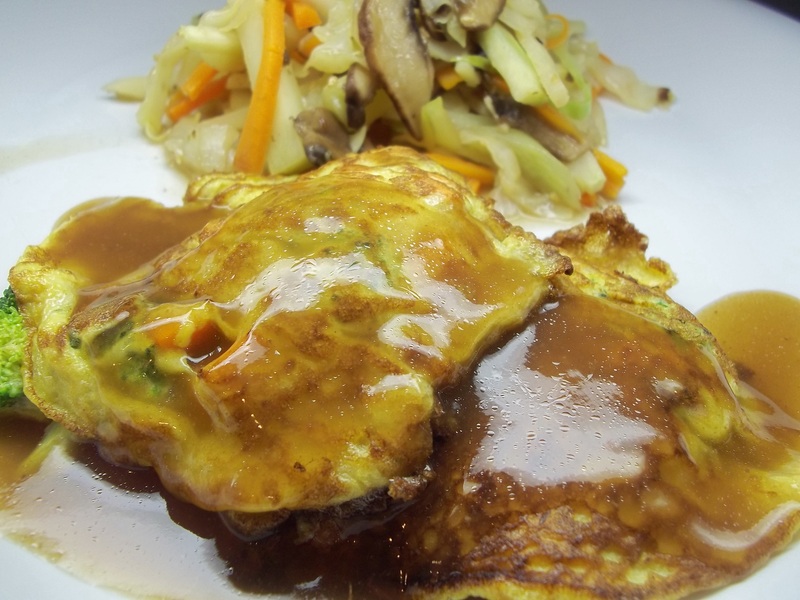 Egg Foo Yung is hard to mess up so it’s what I make most often. We always have eggs and vegetables on hand so it’s very easy to throw together, but I doubt I’ve ever used the same vegetables twice. Combine the ingredients for the pancakes. Mix together the sauce ingredients, whisking until smooth. 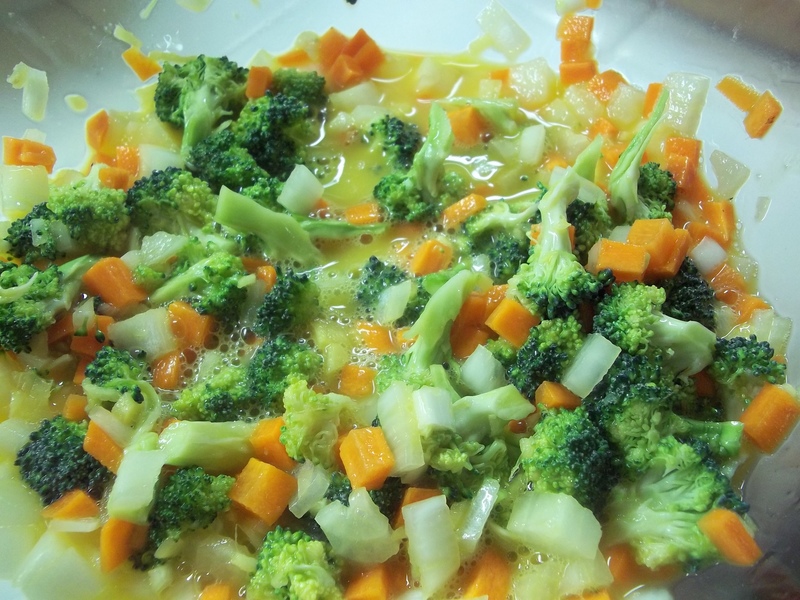 Heat the sauce while stirring until it bubbles and thickens. Set aside. Heat a griddle or saute pan over medium to high heat. Add enough oil to coat the bottom plus a little more. Ladle a couple of ounces of the pancake batter onto the hot griddle or pan. Cook a few minutes on one side. Flip and cook until finished, another minute or two. Serve with Brown Sauce drizzled over the top.